While the majority of beauty brands in the store are full of chemicals and toxins. It often makes you wonder if you can buy anything inherently good for you. Do you need to make your beauty supplies? Do you have to stock up on various natural ingredients to make your facial peels, shampoos, and moisturizers? That is certainly not the case! There are natural beauty brands out there. These companies don’t just want to protect your skin and health but also want to protect the environment. But which one do you choose? Here’s a look at all your options for natural beauty brands. It’s time to get glowing skin without all the nasty chemicals. One of the first on the list has to be Herbivore Botanicals. It’s one of the cheapest options when it comes to the hair and face care, but there are some higher end products if you want a full skin care set. Your whole body will benefit from the natural and organic options from Herbivore Botanicals. There are hand creams, foot rubs, facial scrubs, and even hair mists. All ingredients are ethically sourced, and no animals are harmed or used during the testing of the products. You will also protect the environment, as all the packaging is reusable and recyclable. Many people worry about the scent of the products, as natural companies have a history of weird mixtures of smells. You won’t complain about Herbivore Botanicals. You’ll get fresh, beautiful smelling skin after the use of any of the products. All the products are highly effective. They will work deep into the pores to clean them of all bacteria and grime. Many will help to balance your natural oil production, making acne less prominent and improving the look of blemishes and dark spots. Another natural and organic options are 100% Pure. This brand is superior when it comes to shampoos, conditioners, and creams. They are among the cheapest for natural face creams, and even the aging serums aren’t overly expensive. One of the biggest benefits is that all the products are made in the United States, so you know they follow all guidelines and expectations from the Food & Drug Administration. Let’s not also forget that these natural products are cruelty-free, made fully with recycled packaging and materials. 100% Pure wants to be the first company to offer the most options for organic and natural skin care products. This isn’t just about finding something to nourish the skin, but to also look good while you wear them. For those who are vegan, this is the skin care product that you want to use. You also get a variety of antioxidants and vitamins naturally, supporting the health of your skin and protecting you from natural environmental damage. 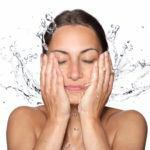 Let’s not overlook the natural oils within the skin care products, helping to improve dry skin and balance out excess oil production in those with oily skin. When you want something for your lips, you’ll want something from Ilia Beauty. The products won’t just make your lips look fuller and plumper; they condition the lips to improve the look and health physically. All the products are made from certified bioactive ingredients, and everything is tested naturally without harming animals. There is also the protection of the environment. All packaging is recycled aluminum. You won’t just get lip sticks, although Ilia Beauty is best known for them. Other makeup options, like foundation, are available. The downside to Ilia Beauty is the cost. The cheapest lip tint is $24, but you make up for that when you consider the lack of harm to the environment and animals. Everything is created in certified organic labs, with natural ingredients sourced around the world from only organic farmers. Everything is gluten-free, too. When you look into the ingredients list, you will find everything you need to know. Ilia Beauty works on the idea of being transparent in everything to build trust and loyalty. Another natural makeup company worth considering is RMS Beauty. This is best for those with lighter skin who want a soft and neutral foundation or cover up. However, there are other products, including nail polish, concealer, and lip balms. All packaging is created from recycled items, and the lab is cruelty-free. You will also find that all products are free from Nano, GMO, and soy products. The cost is mid-range for natural companies, making RMS Beauty well worth the value and consideration. While the majority of makeup will clog the pores and affect the balance of oils and hormones, RMS Beauty works with a different focus. The makeup will nourish and heal the skin based on the natural ingredients included. The idea is that the makeup will add hydration to brighten and support the collagen production. You end up with fewer fine lines without the need to slather on the moisturizing cream. While RMS Beauty is good for those with lighter skin tones, Alima Pure is good for everyone. There is a beautiful and supportive powder foundation worth the investment. As with all the others mentioned above, Alima Pure opts for a cruelty-free approach and uses recycled paper and packaging. There are soy-based inks within the packaging for those who have an allergy. The chances are that they won’t affect you unless you touch the damp ink. While there are some items low in cost, this is also one of the more expensive natural products. A brush set will cost you around $270 direct from the store out of the sales. The brushes are soft and apply makeup uniformly but you’ll want to consider other cost-effective, natural options. Quality is put first when creating the makeup, ensuring only the purest ingredients are used. The company refuses to test on animals and will not use any synthetic dyes for the coloring of your eye shadows, foundation, and lip sticks. Only necessary ingredients are used in anything created by the company. The idea is that minimal is good, which means extra support for your skin. When you do want a beautiful eye shadow, you want to look out for Elate Cosmetics. This natural company create highly pigmented options to bring out a natural glow. The packaging is made from bamboo, making it one of the best options for the environment. All products aren’t just cruelty-free but are also gluten free and vegan-friendly. When it comes to cost, this is one of the cheapest natural companies out there. The beautiful, soft eye shadows will only set you back $16. The bronzers are the most expensive options, sitting at just $20. There is no compromise when it comes to your skin’s health. The natural ingredients won’t block the pores. Instead, they help to support the collagen production and hydration. Your skin looks brighter and softer than ever before. When you want to avoid all parabens (yes, you do want to) then you want to consider Au Naturale. As the name suggests, everything is made with completely natural ingredients that are entirely ethically sourced. While the ingredients will come from around the world, the actual products are manufactured in the United States. They are all gluten free and vegan-friendly, offering a cost friendly options for all types of skin care needs. The cheapest options are lip sticks, but you can get a non-pore clogging foundation for less than $40. You can gain credit for your makeup with this company. There’s a recycling rewards program. All you must do is send the packaging back to the company, and they’ll credit your account with a small amount. The company then reuses the packaging, meaning that recycling is easier, cost-effective, and protective to the environment. There are absolutely no toxins included in the Au Naturale products. In fact, the natural ingredients can help to draw out some of the toxins currently in your body. Did you know that most over the counter kid’s products contain toxins, carcinogenic materials, and skin irritating ingredients? It may be surprising to hear, considering just how delicate a child’s skin is. But that’s the way of the world when the manufacturers are just out to make a quick buck. That’s certainly not the case with Gabriel Cosmetics. The aim of this company is to protect your child’s skin. There are soaps and shampoos that will get into the pores and clear them. The products support the health of the skin and hair, creating a soft and nourishing environment. And it’s not just your kids who benefit. You will benefit from the range of sheet masks, soaps, and foundations available. You’ll get radiant skin that is wholly supported by anything you use. All products are gluten free and vegan-friendly. They are also NPA Certified to prove their natural ingredients. On top of that, you’ll protect the environment with the rewards program for the packaging. You send back your packaging, and the company will give you credit on your next purchase. The next company on the list is best for natural lip sticks, but you will also get some excellent foundations, eye shadows, and night creams. The night creams are the most expensive at just under $40, but they’re more than worth the cost. By using natural ingredients, you get more support to build collagen, reduce signs of aging, and create smoother skin. All ingredients are 100% organic and pure. The company only uses bio mineral ingredients, including in the packaging. They don’t just cover up blemishes, but the products will fight against them. Everything is packed with antioxidants to help fight all signs of aging, including blemishes, dark spots, and wrinkles. How about going one step further to protect the environment? It’s not just about the packaging but how the products are made. Many companies will still use normal electricity that uses fossil fuels, but Tata Harper opts for renewable energy in their factories. There’s no burning, and the products are far more sustainable. They also focus on the use of recycled packaging and glass, of course. All ingredients for the makeup and creams are also organic and natural. The downside to the renewable energy is the cost. The vast range of beautiful makeup, creams, serums, and masks are among the most expensive. In fact, wrinkle care products can cost you almost $400! This is a high-end option for those who want to do everything to care for animals and protect the environment. There are absolutely no toxic ingredients within the products. All ingredients will support the skin healthy, nourishing and radiating all parts of the body. How about a natural option to relax after a long day at work? Do you want a bath bomb or bath product that will help ease away the stress and nourish the skin at the same time, right? The problem with most bath bombs is that they leave that filmy texture on your skin. You just don’t feel clean. Well, it’s time to invest in Beauty by Earth. The bath bombs are the cheapest natural products around, coming in at just $6! You can also get tanning oil, self-tanners, and other beauty products at an affordable low cost. All packaging is recyclable, and everything is vegan-friendly and gluten free. There is no risk of chemicals or additives getting into your skin, whatever types of products you use. This is certainly the option when you want radiant, healthy-looking skin without the damage. You don’t need to get over the counter, toxin-filled ingredients. At the same time, you don’t have to make everything yourself. There are natural companies out there waiting for you to take advantage of the nourishing ingredients. All the companies above care more about your skin than the household brands in the grocery store. And then theway to do more for the environment, making sure all packaging is recyclable. When they can’t quite make it all recyclable, they encourage you to send the empty boxes and tubs back so they can reuse them. It’s time to nourish your skin with anything you use. Whatever your price range or interests, there is a natural beauty brand above for you.